This is the sign in the upper photo of the Wall Street Journal’s front page July 29th 2012. This appears to be the sentiment of the people cheering for the Supreme Court’s decision. Poor folks, they think it will be Medicare for all but actually it will be Medicaid for all. Medicaid expansion is the default/minimum insurance product for the new business. I don’t know of any private physicians who will see or take Medicaid patients (because it won’t pay the electricity bill, let alone the rest of the overhead). 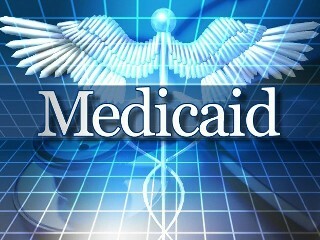 While these new Medicaid folks will have a card, it is highly doubtful they will have access to a doctor. This is why they are now mostly cared for in the emergency room. The decision upholding Obamacare, I fear, leaves us with more questions than answers. My first question for all to ponder is: How in the world did Judge Roberts create this new definition of a tax? I am unaware (perhaps someone reading will enlighten me) of a tax that doesn’t link itself to personal consumption or income. Lotteries are voluntarily paid for (taxes are donated) in the futile hope of a massive payout (I would call it a greed tax). Our progressive income tax is predicated on taking some of the money you have earned and giving your share to the government in order to support its functions. For the privilege of owning a home or business, you pay property taxes. In many states if you spend money on nonfood items, you pay a tax. If you smoke cigarettes or drink alcohol you pay a “sin tax”. This last example was what the Judge referenced as the argument for his interpretation. There is a huge difference. Cigarette taxes are applied at the decision of purchase. In this case the government can “tax” your lack of consumption..?? ?… I am sorry but this sounds like a penalty to me (actually it is robbery), not a tax as any reasonable person would understand it. We should be offended for such trickery. Furthermore in the health care legislation there are all kinds of taxes to be levied on the people who actually purchase insurance (you are damned if you do and damned if you don’t). Additionally the providers of health care services and goods will also be taxed. The individuals who receive their health benefits will also be taxed on a payroll percentage. The cost of premiums paid by the employer will be viewed as income and hence taxed. When fully enacted in 2015 there will be an additional tax to be paid by businesses. So now the second question: How did this legislation address the cost of health care? I see no logical way that the Patient Protection and Affordable Care Act (PPACA) will lower the cost of healthcare. Jim Manley, Democratic consultant is quoted in the WSJ “The bigger issue is the rising cost of health care, and this bill is designed to deal with it.” Really??? Call me stupid but I am not seeing this vision and see no warrant to support this statement, in fact as noted above just the opposite. Next question: How does this situation help businesses start up or expand? If you are contemplating starting a small business or expanding your work force, you will have to figure out how to remain solvent and competitive while paying all these wonderful taxes. Anyone raising their hand to volunteer? I think if this is left as the law of the land, we as a country are in for a very sluggish economic future, remember it’s about jobs. The president is quoted as saying the court “reaffirmed a fundamental principle that here in America, in the wealthiest nation on earth, no illness or accident should lead to any family’s financial ruin.” This leads me to ask a slightly nuanced question” Is the president saying that if one of us becomes chronically ill and are unable to contribute (through our labor) to the nations GDP, we are going to be promised the same lifestyle and income as before we took ill? I would suggest if someone experiences “financial ruin” due to an illness, in addition to the medical expenses it is the inability to continue to work that creates the situation of bankruptcy. We do have programs to address this situation including social security and disability insurance. Will this now be mandated next? Can we say disability tax? While health care is a significant issue on a personal and societal level, the means to solve it don’t justify the ends. Just because it is “so important” does not rationalize authorizing the executive branch unbridled authority to dictate the terms of the health care delivery system. As I have stated in the past, as the potentially creative and true market forces that could have helped solve this situation are corralled in/extinguished, we are going to face either poorer care or very poor access to care. Look to Canada the UK and others to get a feel for what it will be like. Are we still thrilled? There are plenty more questions, perhaps I will pose some of them later. This entry was posted in Politics and tagged Capitalism, Insurance, Kordonowy, Medicaid, Medicare, Obamacare, Socialism, Supreme Court. Bookmark the permalink. 3 Responses to Medicare For All?